More than 100 years may have passed, but people around the world remain fascinated and haunted by the tragic fate of the illustrious RMS Titanic. With the various ocean liner crashes and fiascos in the recent years, it’s not surprising if people wonder whether history will repeat itself with another disastrous sinking. 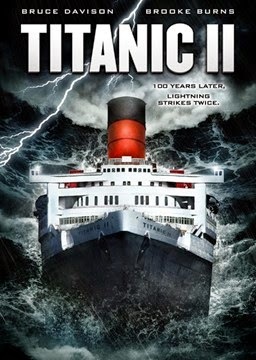 Directed by Shane Van Dyke, “Titanic II” revisits the infamous disaster with some new and unique twists along the way. In the movie, Van Dyke’s SS Titanic II embarks on her maiden journey from New York to England almost a century after the first Titanic’s sinking. Knowing what happened to Titanic II’s namesake, viewers stay glued to their seats waiting to find out if the new ship will suffer a similar fate. “Titanic II” has its share of historical references but is infused with modern cinematography and themes. While there are similarities in the story, “Titanic II” is uniquely its own and a sign of our modern times. Instead of an iceberg being seen too late to be avoided, global warming is the root cause of the catastrophe that befalls the crew of SS Titanic II. The film’s opening sequence foreshadows what’s to come when, due to chunks of ice falling from a glacier, a surfer is faced with a wave as large and forceful as a tsunami.